Geopoll is a mobile surveying platform revolutionizing the way data is collected. They conduct surveys through the mobile phone to help share your voice and opinions with the world. Their partners include non-profit and international organizations, and businesses worldwide. 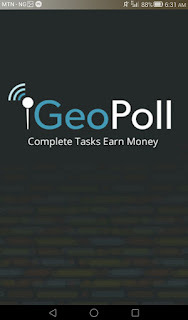 GeoPoll surveys are always FREE to respond and many offer airtime credit on your phone. Information is anonymously collected, and they promise never to share your personal identifiable information. 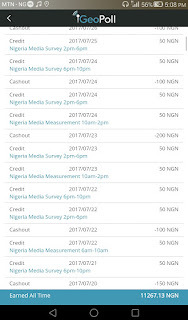 GeoPoll sends you short surveys on your mobile phone, and you can earn free airtime credit for every survey you complete. Don't be worried or scared about the questions. It's very simple and straightforward and the answers are there with options. Most of the questions are personal stuffs that you provide and earn money. You wouldn't imagine how much airtime you will get. 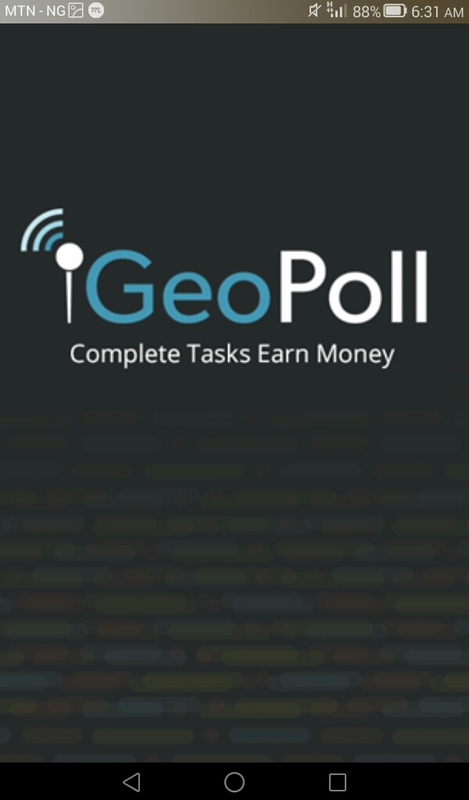 Geopoll comes in handy and in a new way with simple surveys which turn out to be generating airtime for you. It can be transferred to another number etc. Then, input your country, and phone number to register. You will start getting surveys. 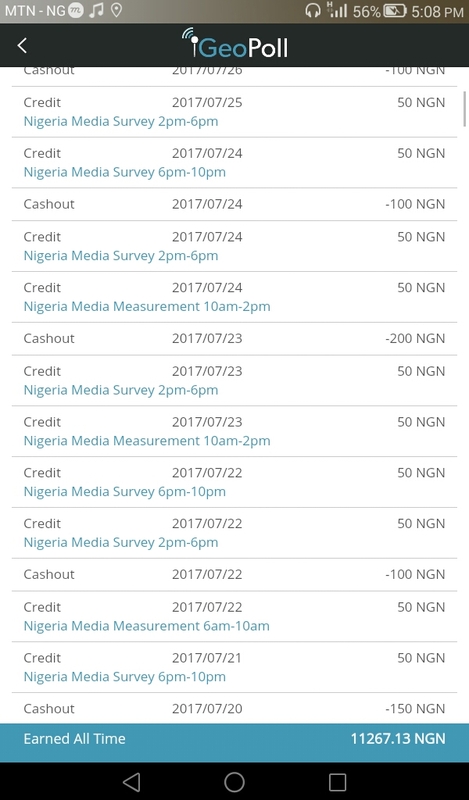 Each survey comes with a free airtime. It's simple. Once you have up to N150 or above on your dashboard, you just have to click on the "redeem" button and select the amount you want to withdraw. 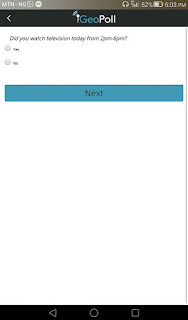 It will immediately get into the phone number on your dashboard via VTU. Networks supported are MTN, Etisalat, Glo and Airtel. To get your geopoll referral link, click on settings at the top left corner of the app and select "invite friends". Then click on share to get yours. You can also share directly to whatsapp, Facebook and even SMS.